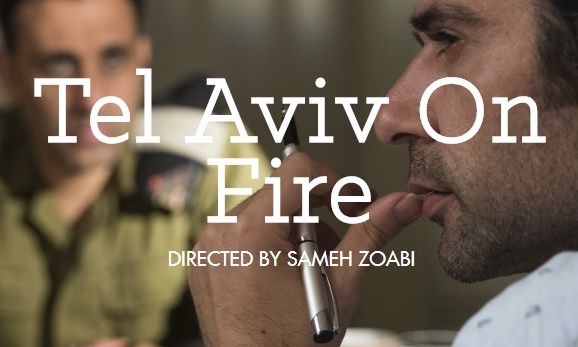 Plot: Ron Stallworth, an African-American police officer from Colorado Springs, tries to infiltrate the local Ku Klux Klan branch with the help of a Jewish surrogate. This will go down as one of the finest films of 2018, entirely deserving of its Grand Jury Prize at the Cannes Film Festival earlier this year, and certainly marking a return to sterling form for Spike Lee, who has not had a major work of wide, startling impact since possibly Malcolm X (1992). 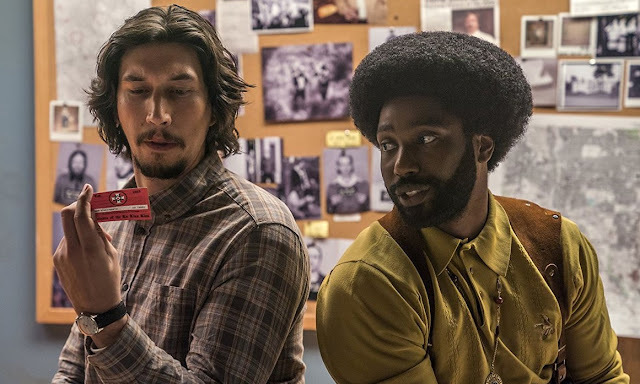 A probable Oscar contender in several categories including Best Picture, Best Director and Best Adapted Screenplay (that is if Universal Pictures is willing to push it all the way to attract awards attention), BlacKkKlansman benefits from a team of four screenwriters whose adaptation of the book by African-American police officer Ron Stallworth (based on an incredible true story) is electrifying to say the least. Peppered with stylistic flourishes and a real sense of rhythm, including a hilarious prologue with Alec Baldwin, and segments that reference the history of cinema, including D.W. Griffith’s seminal if highly-controversial The Birth of a Nation (1915) and Blaxploitation flicks, Lee’s work is a dramatisation of Stallworth’s investigation and infiltration into the Ku Klux Klan during the early ‘70s. Here he is played by a dashing John David Washington, whose magnetic performance makes this two-hour plus film feel shorter than it seems. 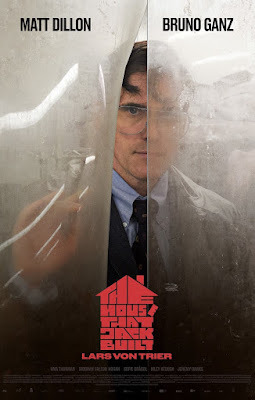 He teams up with Adam Driver who plays Ron’s colleague Flip Zimmerman, and who becomes the ‘white’ physical face of Ron, whilst Ron himself communicates with the Klan over the phone. 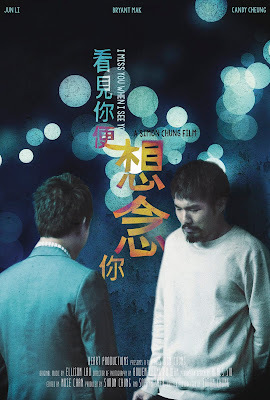 The result is a ‘buddy cop’ type movie that transcends its genre underpinnings to become an unorthodox comedy-thriller filled with moments of suspense and a hell load of fun. One of the most hilarious sequences in the film comes when Flip practises to speak like a black man with Ron’s guidance. The ingenuity of BlacKkKlansman, however, doesn’t always come from comedy or plotting directly, but instead relies on those two elements to deliver something even bigger than its narrative, to a point that the film becomes a serious and substantial examination of the very subject matter that has preoccupied much of Lee’s nearly forty-year career: race. 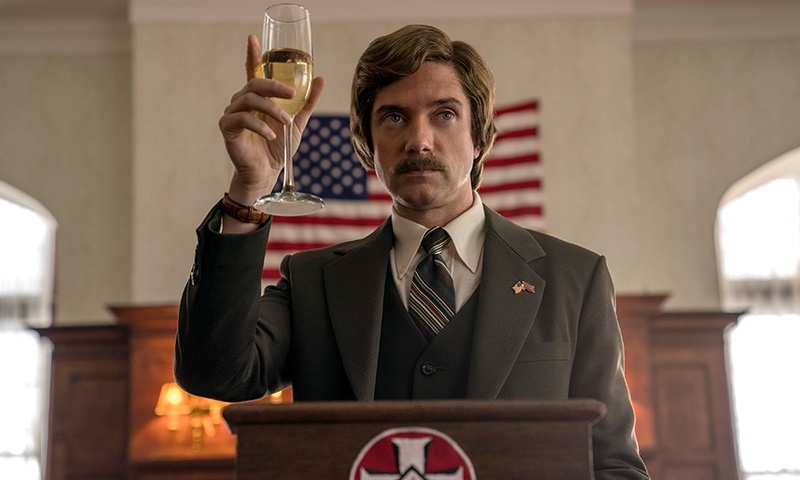 With a frequently recurring music theme (sometimes accompanied by the rhythm of a military march) stringing the film together as if it were made up of smaller ‘episodes’, BlacKkKlansman is compelling and thought-provoking, and its coda which is as powerful as it gets, situates with urgency the entire work in perspective of today’s race relations in the United States. 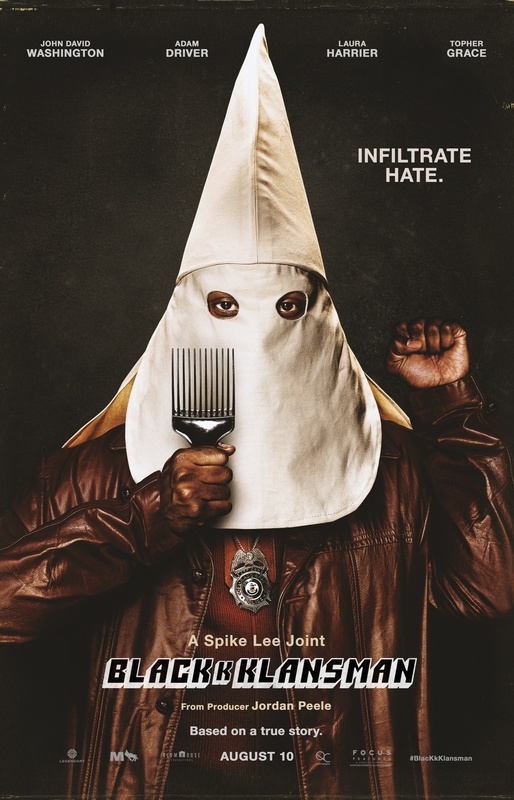 Verdict: A return to sterling form for Spike Lee, this is one of the year’s most powerful films, and it’s very funny too.